Five years ago I bought an Xbox 360 to play a single game: Grand Theft Auto IV. I ended up subsequently selling the Xbox because I didn’t like having it around: it only served as a temptation to waste time. 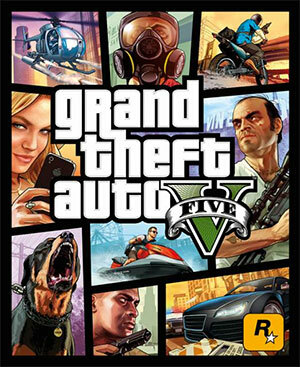 One month ago, I bought a Playstation 3 to play a single game: Grand Theft Auto V. I played the game for hours a day during the week-long national day holiday in China, finishing the game in 6 days. This is my review. What Makes GTA V Irresistible? Simply put, this is the most ambitious video game ever created. It’s not just a watershed event in the gaming or entertainment industries – the release of this game is a worldwide cultural event. It is the fastest selling entertainment property of all time, generating over $1 billion in sales in 72 hours. In the opening scene you rob a bank, shooting your way out when pursued by police. It’s raw, edgy, and vulgar. This game immediately grabs you with its uncompromising commitment to crime and criminals. And it feels and looks beautiful. All of the actions performed in the game feel natural and grounded, with real physical weight and moral consequences. Except for running over people in the street, you can get away with that pretty easily. You could easily spend months playing this game continuously without experiencing everything that it has to offer. From driving to shooting to the mission where you torture someone to extract information (seriously), everything feels like it’s at your fingertips. If you want to do something, you’ll find that you can probably do it. There’s never been a game that has encouraged and rewarded this kind of exploration before. The technical hurdles that were overcome to create the seamless and comprehensive control mechanisms in this game are truly mind boggling. The result looks and feels hyper realistic. As in most real life situations, there aren’t really good or bad guys in Grand Theft Auto V. The story is told through three protagonists, which offers a lot of variety, but they’re all anti-heroes. Each character possesses a combination of noble and fiendish character traits. 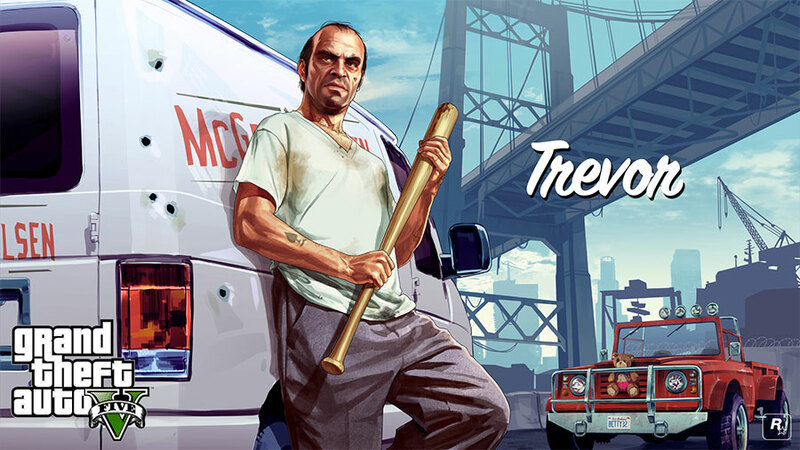 The most perverse of all the characters, a redneck meth dealer named Trevor, is ironically the most charismatic and likable. Fortunately, this game doesn’t quite feature the formulaic “rise to power” narrative that you find in almost all character-driven video games. This game is as much about rising to notoriety as it is about falling to new lows. It’s mature and refreshing to play a video game with the narrative capacity to invoke emotional investment in it’s characters, but this happened to me in GTA V. Toward the end of the game you’re faced with a pivotal decision which drastically changes the course of the game. The surprising thing was that the consequences of my choice weren’t something I forgot quickly. I felt moral remorse and wished I could go back and do it again. But I couldn’t. I came away from the story impressed. Few games I’ve played have inspired that kind of reaction. Some others are: Final Fantasy 7, Bioshock, The Last of Us, and Half Life 2. The graphics in this game are easily a step beyond the previous iteration of Grand Theft Auto, which is no surprise. The scene complexity in this game is impressive but there are some performance shortcomings. You can’t tell from the pre-release trailer, but the game suffers from a lack of anti-aliasing, which is no doubt due to rendering all of the on-screen objects at high (720p) resolution. It requires a lot of processing power, and current (soon to be previous) generation gaming consoles are 7+ years old. Overall the presentation is fantastic and the graphics are good, they merely do not quite live up to what’s shown in the trailer above. The soundtrack is a huge highlight, as expected. 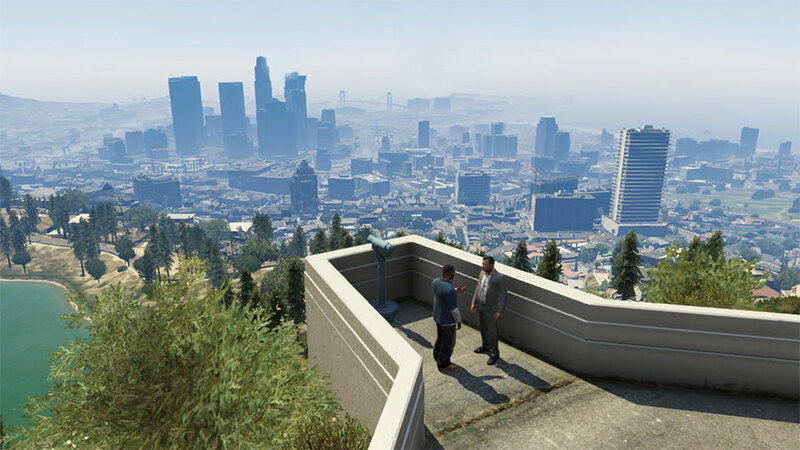 In Grand Theft Auto V, the soundtrack is delivered through scripted sequences in missions as well as through the “radio” system. Get in any car and you can switch stations on a radio which reveals about 20 stations of pre-programmed content. There’s a classic West Coast hip hop station, jazz, rock, reggae, and a Flying Lotus radio station. While playing the game I’ve discovered a few new songs that I’ve subsequently downloaded and really come to like. Off the top of my head, both A$AP Rocky – R. Cali and Milkman Lechman – Fresco. I think we will look back and remember this as the pinnacle of gaming in 2013. It’s a creative and technical triumph, and tells a story with a lot of sophistication and panache.